Our nationally representative survey conducted shortly after the presidential election finds that the number of Americans “very worried” about global warming has reached a record high (19%), since first measured in 2008. A majority of Americans (61%) say they are “very” or “somewhat” worried about global warming – nearly equal to the highest level recorded in 2008 (62%). Likewise, Americans increasingly view global warming as a threat. Since Spring 2015, more Americans think it will harm people in developing countries, people in the U.S., future generations, their own family, and themselves personally. By a three-to-one margin, Americans also say that schools should teach children about the causes, consequences, and potential solutions to global warming (76% agree vs. 24% who disagree). 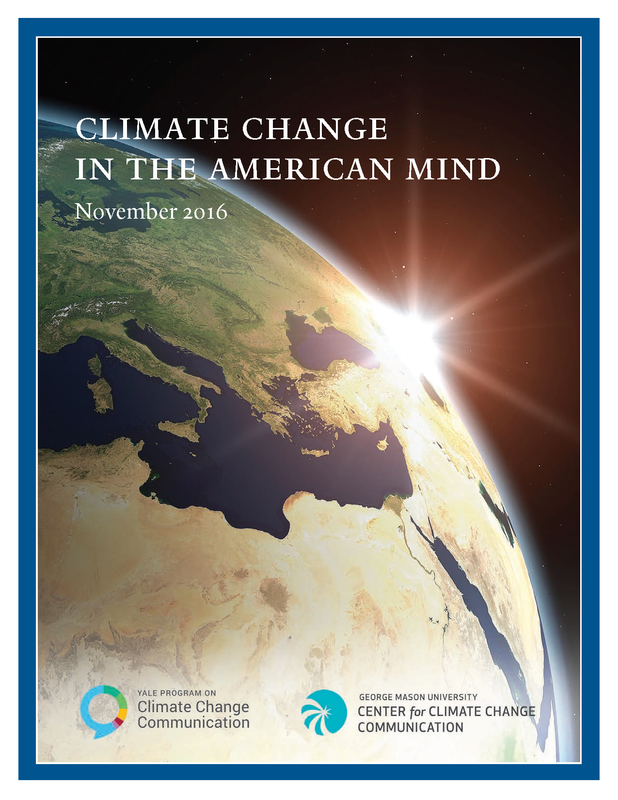 This report is based on findings from a nationally representative survey – Climate Change in the American Mind – conducted by the Yale Program on Climate Change Communication (climatecommunication.yale.edu) and the George Mason University Center for Climate Change Communication (climatechangecommunication.org), Interview dates: November 18-December 1, 2016. Interviews: 1,226 Adults (18+). Average margin of error +/- 3 percentage points at the 95% confidence level.